Bill & Melinda Gates Foundation (BMGF), USAID, Wellcome Trust, and Grand Challenges Canada were notable participants. The Grand Challenges India (GCI) program, started by BIRAC (Govt. of India), BMGF and USAID, aims to promote Indian innovators to fix crucial health and development challenges facing the nation. October 23, 2018, Berlin, Germany: An important Unit of Biotechnology Industry Research Assistance Council (BIRAC), Gov. 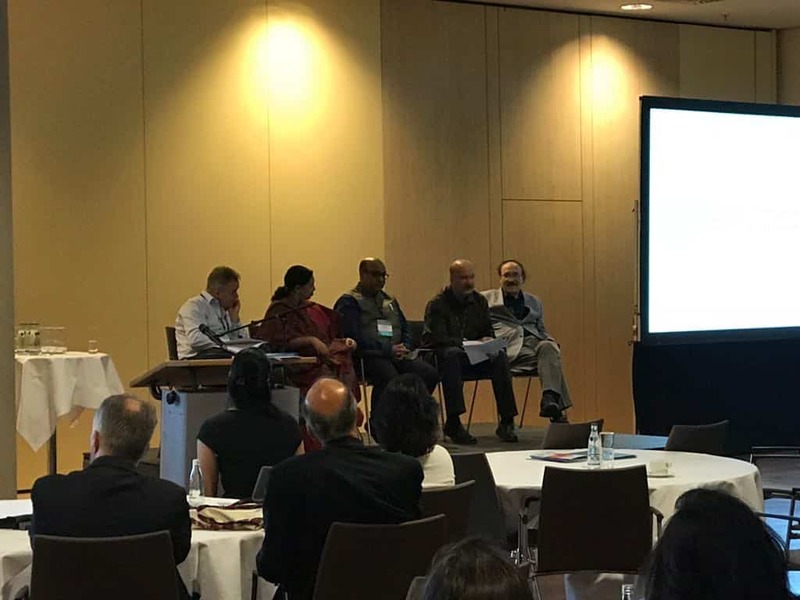 of India in a roundtable meeting in Berlin brought together donors development partners and multiple organizations to explore avenues for collaborations to innovate in India. It saw high-level involvement from donor agencies like the Bill & Melinda Gates Foundation (BMGF), United State Agency for International Development (USAID), Wellcome Trust and Grand Challenges Canada, among others. Government of India and BMGF who have the potential to alter the lives of millions in India. In 2013, the BIRAC-PMU, BMGF and USAID began the Grand Challenges India (GCI) program, which aims to promote Indian innovators, to fix crucial health and development challenges that India faces. For a partner, Wellcome Trust joined PMU-BIRAC in 2016. Grand Challenges India (GCI) program has supported projects at various stages from Jobs to innovation projects, from basic science research from labs to projects and to scale-up at various stages in their lifecycle. BIRAC is currently pursuing research efforts across areas, including vaccines immunity, maternal and child health information systems diagnostics development, food and nutrition, sanitation and hygiene. GCI, which began with 2 apps, has funded over 20 projects across 4 applications in five decades and has dedicated over USD 30 million in financing. Prime Minister Narendra Modi vowed to Place India among the top few nations Government initiatives like Start-Up India And Make in India Entrepreneurship in various sectors. From the biotechnology space, in The government launched its National Biotechnology Development Strategy 2015-20 with the aim of creating a business by 2020.